1. These types of double stops are very common and have been used countless times by blues guitar players. This makes your playing sound very unoriginal if you use them too many times. 2. Most people exclusively use these patterns whenever they want to play double stops so they never think of new ways to apply this concept into their blues playing. In a second, you will see how there are tons of ways to use double stops to make your playing sound more unique and expressive. 3. The tension created by double stops is generally resolved as both pitches in the lick are played in unison once the bend is finished. This limits the expressive potential of the technique making it sound much less aggressive. Before you learn various ways to start using creative double stops in your blues guitar playing, check out the video below so you can see and hear the ideas discussed below (in order to get the maximum benefit from this article). After watching the video above, read below to understand the different elements that make up a creative and totally killer sounding double stop lick. Begin by bending a note on the 3rd string followed by playing a note on either the B string or E string. This creates the double stop effect. By playing different notes at the same time (that don’t resolve to the same note) you will build more tension to make your double stops sound very intense. 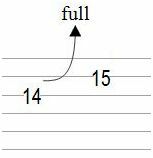 In the first tablature example above, you can allow the B string to sound since it is part of the scale. However, if you were playing in a different key you would need to mute this string by using the pointer finger of your fretting hand (while the notes of the G and E string sounded together). Find out how you can effectively do this by reading this article about muting guitar string noise. 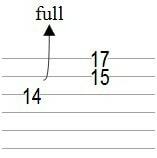 In general, blues double stop licks start with a tense feeling created when two notes a whole step apart sound simultaneously before the lower note is bent to match the pitch of the higher note (relieving the tension). In the video above, I did not follow this general approach – I did the opposite. I first playerd a normal note from the scale. Next, I played a note together with it that clashed and created a lot of musical tension. The tension created by this effect was never completely resolved (until I stopped playing). This is a very creative way to make your blues licks sound extremely intense. Usually guitar players only consider adding vibrato to a single note of their licks and phrases. However, it is very easy to use vibrato on both the notes in your double stop as well. Listen to both of the samples below: In the first part of the audio you will hear a double stop played using no vibrato. In the second, you will hear the same lick played using vibrato on both pitches. Note: While applying vibrato to the note in your double stop lick, your vibrato needs to be very even and controlled (you must accomplish this using either your fingers or the vibrato bar/floating bridge). Be sure that your vibrato remains in tune while preventing any unwanted string noise from occurring using muting in both hands. 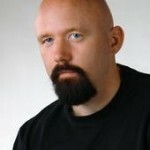 Learn how to do this and keep your blues licks clean by reading this blues guitar licks article. You can use your third finger or small finger to barre the two notes on the B and E strings above. It will be much easier to use vibrato technique to enhance these double stop licks with a floating bridge. Simply use your picking hand to push the bridge up and down (as seen in the video above). With this in mind, you can still apply the concepts of this article into your blues guitar playing even if you do not have a floating bridge. At first, use these double stop licks only in isolation until you become more comfortable with them. Then begin applying them into your playing during the moments when you want to create the most intensity in your phrases. 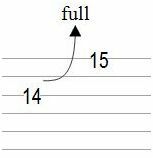 After working on the ideas in this article for a while you will easily be able to apply blues guitar double stops into your phrases. But remember: knowing how to play cool blues guitar licks is just the beginning to becoming a great player. Find out how you can become a much stronger guitarist in all aspects of your playing by downloading this free electric guitar practice guide.